If you have diabetes, it’s important that you receive ongoing, expert eye care to prevent diabetes-related vision loss. Eric J. Rothchild, MD, and his team at Rothchild Eye Institute, which serves patients in Boca Raton, Delray Beach, and Boynton Beach, Florida, are committed to helping you protect your eyesight and avoid devastating eye conditions such as diabetic retinopathy. For an evaluation and ongoing diabetic eye care, call the office or schedule an appointment online today. Diabetes is a metabolic problem that causes elevated blood sugars. Chronically elevated blood sugar, or increased glucose levels, affect all the tissues of your body, including the blood vessels of your eye. Expert diabetic eye care from the team at Rothchild Eye Institute can help to prevent, detect, and closely monitor you for long-term vision loss. What does effective diabetic eye care entail? Using a specialized eye drop, your pupils are dilated in order for your ophthalmologist to visualize the internal structures of your eye. With your eyes dilated, a digital image of your retina and other structures can be taken. Also called tonometry, this test measures the internal pressure of your eye, identifying risk factors for glaucoma. Helps identify changes in your ability to see at various distances using an eye chart test. The findings of your comprehensive exam can be compared on a yearly basis to help identify any signs and track the progression of eye disease. What are the symptoms of diabetes-related eye damage? Early detection of these findings can help to prevent symptoms from worsening to avoid irreparable vision loss. What can I do to protect my eyes from diabetic complications? Finally, follow up with your ophthalmologist when you experience any new visual changes. By working with your eye care specialist to continually maintain proper eye health, you can decrease your risk of having diabetes-related vision loss. 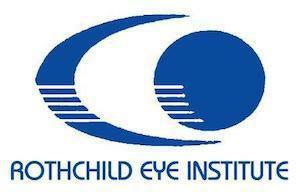 For an evaluation and diabetic eye care plan, call Rothchild Eye Institute or schedule an appointment online today.